Here at Rhopoint Components we offer surface-mount terminators and power splitters by the industry leading manufacturers Susumu. Utilising thin film technology, these components are available in various chip sizes, power ratings and operating frequencies. 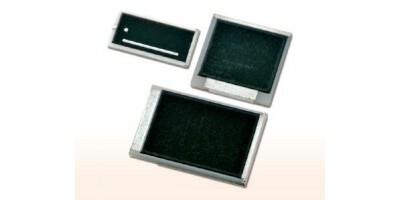 The PCS series from Susumu is a high power thin film chip terminator. The terminator has an aluminium oxide substrate with an efficient heat dissipation that provides a rated power range of between 0.2W and 10W, anti-surge and overload protection. The Susumu PCS series has a frequency range of DC to 15GHz having wraparound terminals which provides easy and reliable soldering. The thin film does not have any innate stress. Therefore, repeated power cycling does not fatigue the element and causes no change in impedance. The PS series of thin film chip power splitters from Susumu offer a resistive splitter that provides a wide frequency range of DC to 20GHz. Their special design and use of thin film technology produce less reflection while also enabling small sizes along with easy mounting. The Susumu PS Series with its wide band provides less distortion of square pulses of digital signals.